Article from Reason by Mike Riggs. If you think the Department of Justice has more than enough tools to wage the war on drugs, a bill passed by the House would create a fast-track scheduling system that could lead to the criminalization of kratom, nootropics, and pretty much anything that gives you a buzz and isn’t already illegal. 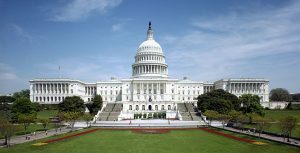 The House of Representatives voted on Friday to create a new schedule of banned drugs under the Controlled Substances Act, called “Schedule A,” and to give Attorney General Jeff Sessions broad new powers to criminalize the manufacturing, importation, and sale of substances that are currently unregulated, but not illegal. The bill is now headed to the Senate, where co-sponsors Dianne Feinstein (D–Calif.) and Chuck Grassley (R–Iowa) will likely have little problem whipping votes. The Stop the Importation and Trafficking of Synthetic Analogs Act, or SITSA, is intended to crack down on drugs that closely resemble currently banned or regulated substances in either their chemical structure or intended effects. SITSA would also empower the attorney general (A.G.) to add drugs to this new schedule with few checks from other branches of government. As its name implies, SITSA is a response to the increased importation of fentanyl analogs—drugs based on the potent opioid fentanyl and that work similarly in the body, but are slightly different at a formulaic level—which have made their way into the U.S. heroin supply and driven overdose death rates to an all-time high. Great; this’ll work as well as the gov’t war on poverty! AND at the same time, it’ll hurt people dealing with chronic pain who need such meds to have any quality of life. The BEST way to get a complex job done is give it to Congress and the faceless Government. If someone is id CHRONIC pain, have it documented and get a prescription. Schedule “A” drugs are available to those who can prove their need. The Black Market exists to sell unlawful drugs to those who either do not have a need, or can not prove a documented need! That is why so many jurisdictions have legislated “Recreational” drugs. Who and what will be the likely victims of Law Enforcements Expanded Powers? DId members of congress who voted for this even casually view the questionable performances of law enforcement already, sad to note, a matter of history?